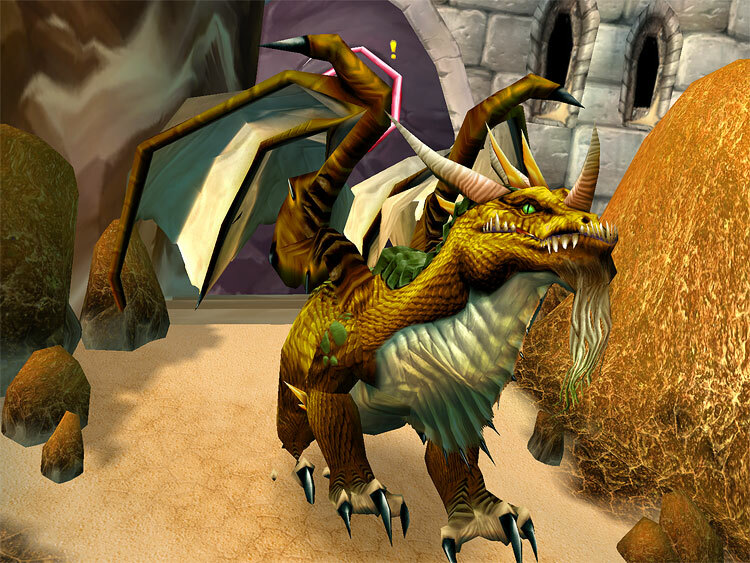 After more than 5 years of having this in my quest log, I am very happy to have finally completed the Sceptre of the Shifting Sands questline. It all started with a loot drop from Broodlord Lashlayer in Blackwing Lair back in early 2006 and progressed very slowly as I gained rep to hit neutral rep , you start at hated, with the Brood of Nozdormu, which this took me until until late 2008 to achieve, as trying to do the rep grind by completing Hand of the Righteous was just plain dull and the easy way of killing stuff in the Ahn’Qiraj raid instances was difficult as during Vanilla my guilds were struggling to make progress and during TBC nobody wanted to raid them for no reward. The achievement system finally gave people incentives to go raid older instances and gave rep junkies like me incentives to get even more factions to exalted, which was when I resumed my goal to get exalted with the Brood. After running AQ40 a few times and completing the Hand of the Righteous quest a few times I got to do possibly the coolest easy quest ever, Long Forgotten Memories, and I wish I had used FRAPS to capture the moment. Fortunately a few others have, see below. However, the most bizarre moments were my attempts at killing Dr Weavil, a lowly level 63 elite mob with around 400,000 hit points, so I tried to solo him and then he pulls out his trump card and Mind Controls me, I was unable to Everyman For Himself out if it too and the mind control lasts for 2 minutes, which just happens to be the cooldown on his mind control spell. I eventually break free by gradually moving out of his hut (this took me 15 minutes!). I needed friends, so I enlisted the help of Finbar and Sausage‘s mage (the name escapes me) and that proved worse as the mind controlled victim gains insane power and one shots the other 2 regardless (my Holy Fire hit Fin for over 50k!). A plan C was needed, research showed that hunters could solo this guy, a plan was hatched I needed a pet class to assist and me and their pet would kill him. Malicus came to to assist, his perma ghoul tanked the evil Weavil. I healed the ghoul and Malicus joined in with some DPS and then the ghoul lost aggro and of course the Dr used his mind control on Malicus at that point. Next try Malicus did zero DPS and I managed to keep the ghoul up with spamming Power Word: Shield and renews and slowly the Dr died. Then finally last night I managed to complete the last hard part done, again after a failed solo attempt a few weeks back, The Nightmare Manifests, which is to defeat Eranikus in Moonglade, this time props to Cork for coming to assist. This is a massive goal of mine met and one which could and would not have happened without the assistance of friends and guild mates. It is a shame that there is no achievement for getting this quest line done other than giving massive chunks of rep for the Brood of Nozdormu, which I was already exalted with, but the memory of doing this oh so epic quest line and the fun I had with everyone that assisted along the way can never be taken away. 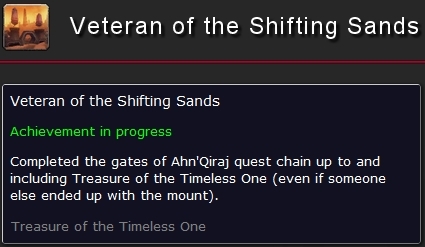 Sometimes I think Blizzard are reading my blog, first the mystery of getting a Beta key after declaring it lost in the post and now it seems that there is a feat of strength for completing this questline. Next up for the ridiculous personal in game challenge? 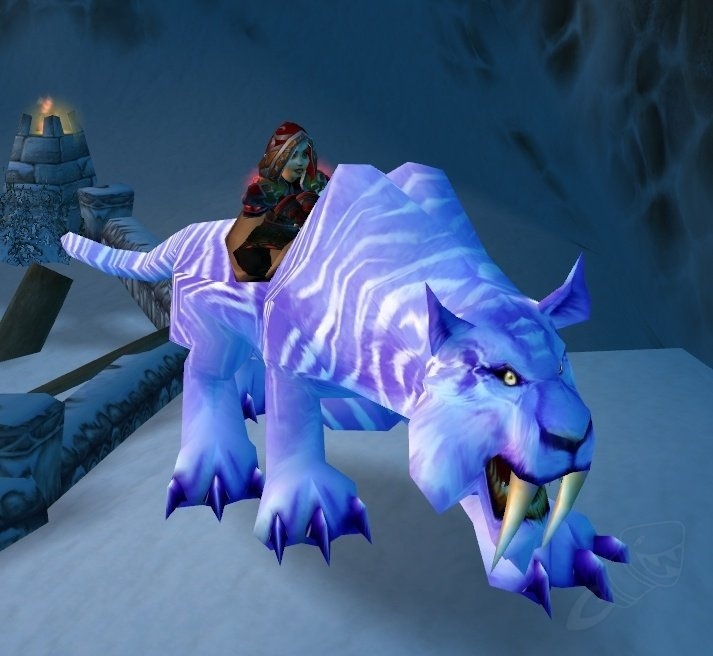 Obtaining a Winterspring Frostsaber by hitting exalted with the Wintersaber Trainers before I go Insane!